I am very excited to be starting a new class for 2018 and would love you to join me. Now I am not working full time, I am finding time to play again and explore the fun and creativity of junk journals. Each month you can join me and make a page for our journal. I love photo's and words so my junk journal will feature both. This months junk journal page is called "Time Flies when you're having fun". You will need to bring 4 photos of a person or people just having fun. It doesn't have to be a sequence of photos like mine. You could do the page for one person and use four different photos. If you choose to do this, then consider printing one photo in colour and the rest in black and white. You can make your page with me and choose your photos later on. Your photos need to be abled to be cropped to about 3x4 3/4 inches. I will be supply the "junk" for your first page. 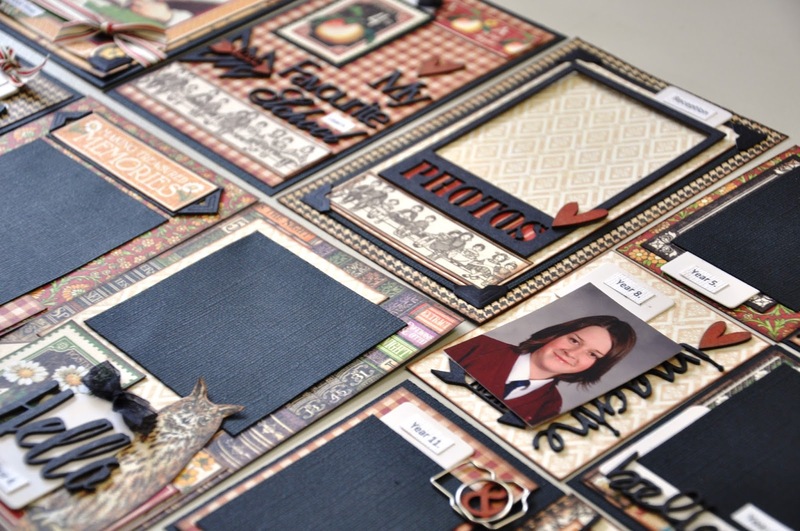 You won't need a journal for this class as each month you will make a page using different paper for your foundation pages, we will be binding it all together at the end. 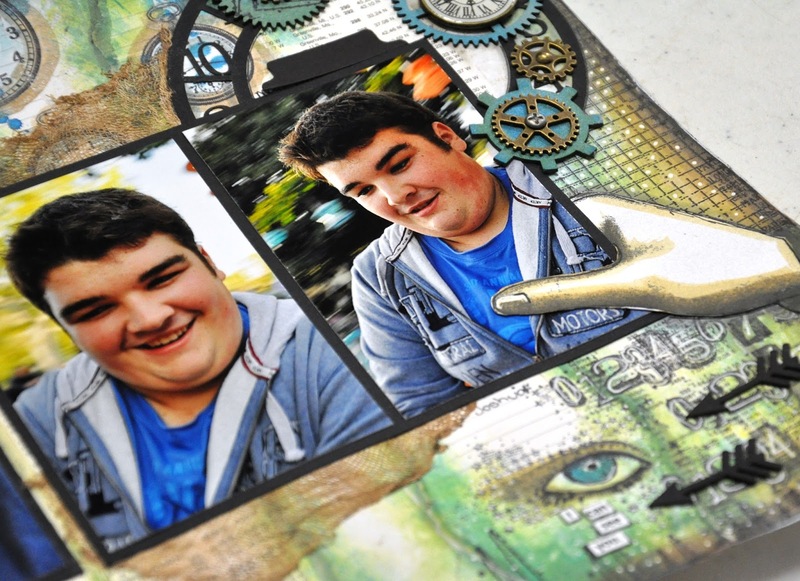 Any clock stamps and a selection of your favourite detailed, background and image stamps and acrylic blocks. You will receive a stamp set as part of your "Junk". Remember you can use my stamps if you don't have any of your own. Acrylic blocks for your stamps. This is a four hour workshop to be held on the 24th February at 10am-2pm. 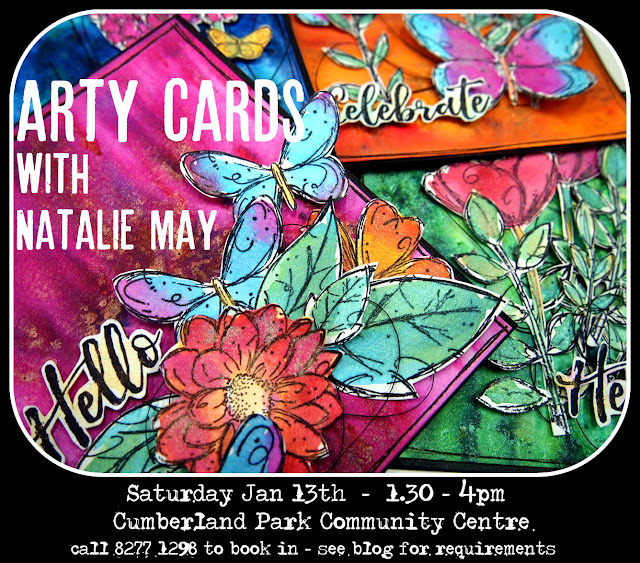 At the Cumberland Park Community Centre 388-390 Goodwood road. Cumberland Park. Cost of Class $20 + $12 for "Junk" which also includes a stamp set. Our First Classes for 2018. Can't believe it's February and our classes have started for this year. this weekend 9th, 10th and 12th of February. Cost of class $16 + $15 Kit. Will post an image later today. I have included a sneak peak of my Graphic 45 Project Life Style Class. It is a school themed layout. I have designed it to include 13 photos which is a whole school life. It is perfect for all those little photos which are included in a school photo bundle but never get used. If you can bring some of your photos to this class it would help you get it finished, if not - you can add them later. Jane has another set of Patchwork pieces planned for this class. Cost of Class $16 + $12 Kit. Friday 9th at 7pm-9.30pm. Large Art Journal - we will have some for sale if you don't have one. A few magazines to cut up if you have any – old ones would be better but anything will do. Kathy is away so I will be taking her class. I have a set of Male cards planned for this class. You will get to make three cards - image to follow. Cost of Class $16 + $15 Kit. Monday 12th at 1pm-4pm. To book into any of the classes, please ring us on 8277 1298 or 0416053688. Hope to see you at one of our classes or just popping in to say hello. 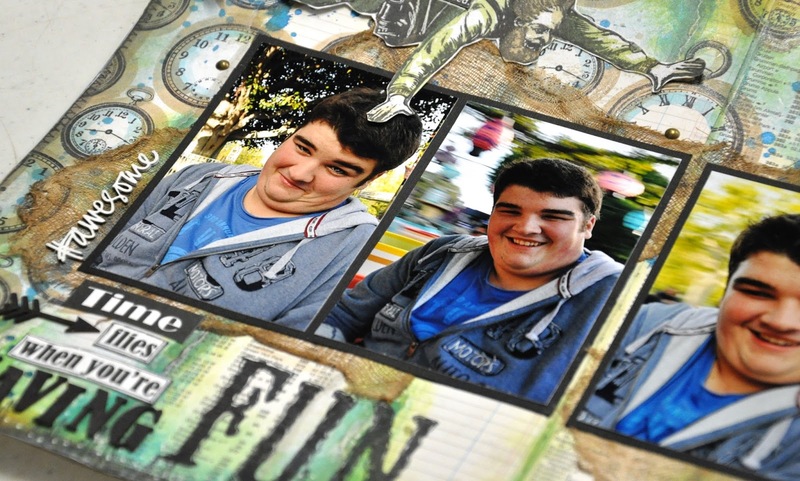 Lets get a little funky this month – step of of the ordinary and create a fun page using magazines! Creating some Magical layers with flowers, colours and beautiful pattern.